The Florida Engineers Management Corporation welcomed three new directors to its board of directors on Nov. 1, 2018. Safiya Brea, PE, Satya Sukumar Lory, PE, and Art Nordlinger, PE, were appointed to four-year terms by the Florida Board of Professional Engineers. They replace Jeff Arey, PE, Shannon LaRocque, PE, and Kimberlee DeBosier, PE, whose terms ended in October. Ms. Brea graduated from the University of Florida with a bachelor’s in civil engineering. She is a partner at Chen Moore and Associates where she has worked for over 16 years. Her current position as senior engineer and project manager includes designing and managing projects ranging from large utility improvement projects to roundabouts. 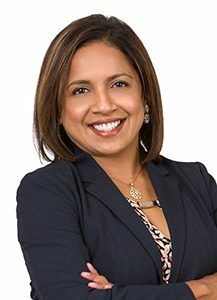 She is a graduate of Leadership Florida Connect Class 8, Leadership Broward Class 35, and Florida Engineering Leadership Institute. 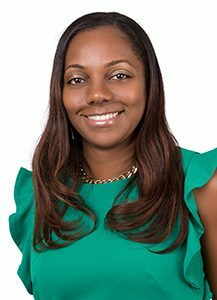 Ms. Brea was the Florida Engineering Society’s Broward Chapter president from 2010-12, and is on various committees for the organization. She participates in the Women of Tomorrow mentoring program for young women. Ms. Brea has as 3-year-old daughter, Nyla, and a 6-year-old son, Malakhi, with her husband, Mark. She enjoys spending time with her family, going to the beach, and reading a good book. Ms. Lory is division vice president and operations leader at Jacobs Engineering Group Inc. She received her bachelor’s in civil engineering from National Institute of Technology (Calicut, India), a master’s in civil engineering from the University of South Florida, and an MBA from the University of Tampa. She started her career in bridge design before moving into project management and program management positions. Over her 28 year career, Ms. Lory has been involved in a variety of projects and programs, including being the design manager for Jacobs for the $2.3-billion Interstate 4 Ultimate public-private partnership. Ms. Lory is very passionate about the engineering profession, and has held several leadership positions in the American Society of Civil Engineers, including west coast branch president, vice president – district 2 and president of Florida Section ASCE. Ms. Lory is a member of ASCE, the Florida Engineering Society, and ACEC Florida’s Transportation Committee. She also holds a Project Management Professional certification. Mr. Nordlinger is the manager, transmission tariff and contracts at Tampa Electric Company. He earned a bachelor’s in electrical engineering from Northwestern University in 1979. After several years in industry, he returned to graduate school and earned his master’s degree in electric power engineering in 1988 from Rensselaer Polytechnic Institute. Mr. Nordlinger then went to work for Florida Power Corporation, starting as a project engineer in the company’s Energy Control Center. He held a number of engineering and management positions in the generation and integrated resource planning, cogeneration, and regulatory areas during his 13 years with Florida Power. 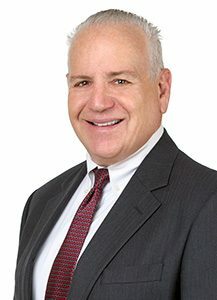 Mr. Nordlinger joined Tampa Electric in 2002 where he has held the positions of manager, grid planning and operations support, and manager, generator interconnection services, in addition to his current position. He has taught graduate courses at the University of South Florida in power system analysis and advanced energy management systems. He is a senior member of IEEE and the Florida Council’s representative to the Florida Board of Professional Engineers.